If you’ve got the cash in the bank to cover the unexpected expense, hiking the car insurance deductible on your auto insurance coverage could save you hundreds of dollars a year. The portions of a policy that carry a deductible are two optional coverages, comprehensive and collision, that cover physical damages. A deductible is the amount you pay before your insurance kicks in. Typically you can choose a deductible of $250, $500 or $1,000, but amounts can go as high as $2,500. Collision coverage covers your own car damages after your vehicle collides with something -- another car, a fence, a wall, a tree, anything except an animal. Comprehensive coverage covers everything else -- theft, vandalism, flood damage, a falling tree or branches, an animal strike. These two coverages pay out up to the actual cash value of your car, minus your deductible. Drop the coverage altogether if you own your car outright. Shop around with different carriers. Rates can differ by hundreds of dollars. Unlike liability coverage, which doesn't have a deductible, collision and comprehensive insurance pays only the amount that exceeds the deductible. The higher the deductible, the less risk the insurer takes and the lower the premium. 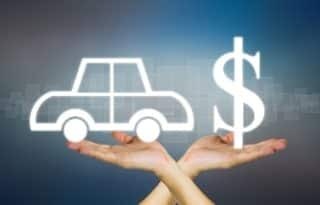 "If you have a higher deductible, it's likely you won't make as many claims," says Penny Gusner, consumer analyst for CarInsurance.com. "If your deductible is $1,000, you're not going to be putting in claims for every little door ding because you know small claims are below your deductible amount." Below are the average rates in each state for three deductible levels. CarInsurance.com commissioned Quadrant Information Services to run auto insurance rates for a 2015 Honda Accord LX for 10 ZIP codes in each state using six large carriers -- Allstate, Farmers, GEICO, Nationwide, Progressive and State Farm. Averages were calculated based on single male and female drivers ages 18 to 85 who commute 12 miles to work. All samples include liability insurance limits of $100,000 of bodily injury per person, $300,000 of body injury per accident and $100,000 of property damage. Enter your state in the search field to get savings for your location. 0 Responses to "Raise your car insurance deductible to lower your rates: Savings by state"